The gait of a dog is its quality of movement. GAITRite Analysis allows us to objectively measure the gait of your pet. The GAITRite System measures timing and distance of footprints to identify abnormal gait patterns that can suggest problems in walking. The electronic pathway contains more than 13,000 sensors that capture every footfall in real time on our computer. 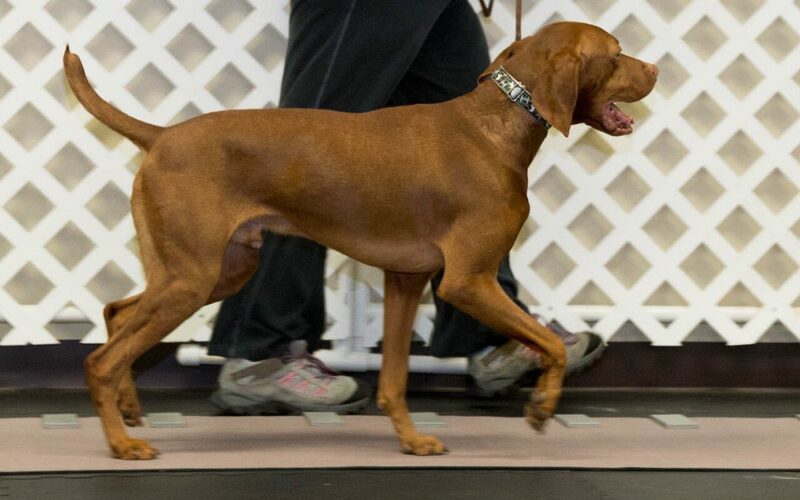 Gait Analysis is used for dogs that are over 20 pounds and are fully ambulatory.